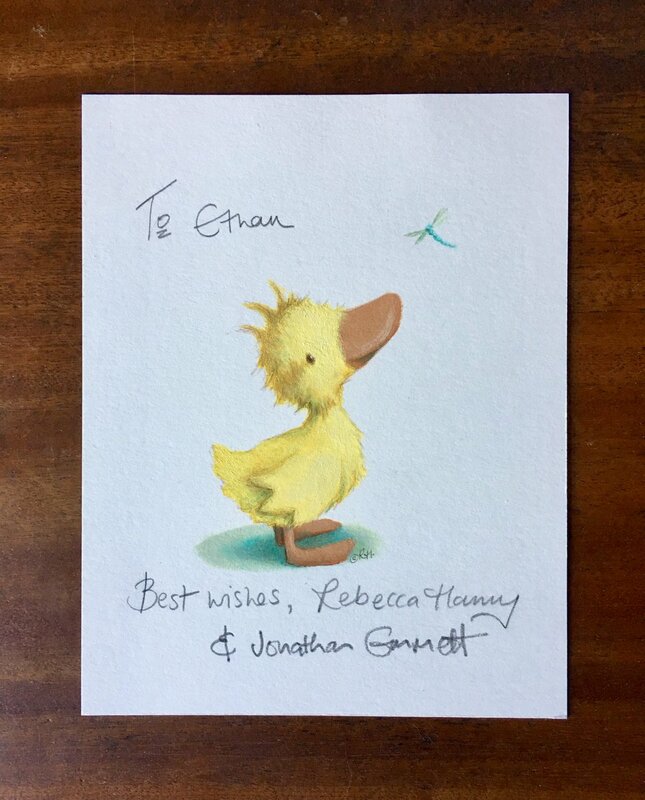 Jonathan Emmett and I have self published the Ruby the Duckling series after Macmillan Children's Books took them out of print. We made this decision because we are still receiving wonderful letters from people all over the world who love these books and want to continue buying them. They are selling quietly in the background and we are rather pleased with the response! an original Ruby painting, signed by Jonathan and myself. We may run some more Ruby competitions in the future.